I’ve been gardening since I was a little kid with my dad. I've seen many hummingbirds visit the feeders I set up around my home. A large number of trees and tall plants in a yard can make gardening a challenge even for a well-seasoned gardener. If your yard receives only partial sunlight in areas, your best bet is to grow plants that thrive in the shade. 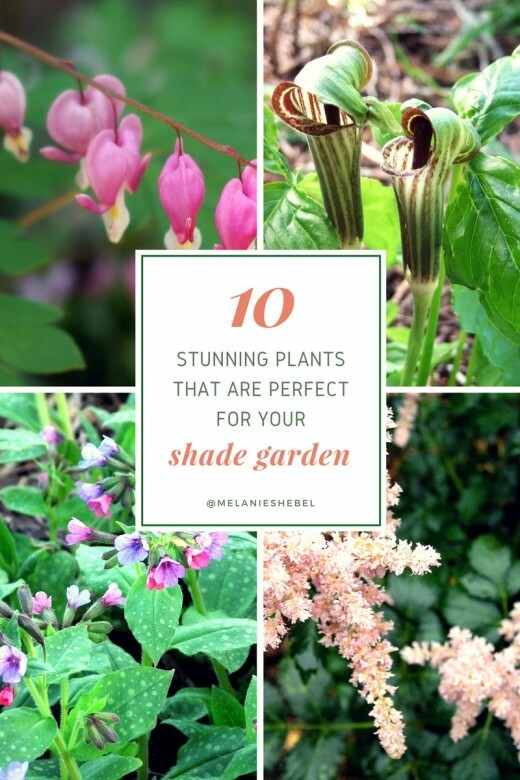 Many full and partial shade plants are really pretty, so you won't have to sacrifice beauty in order to garden in the shade! Regularly pull weeds and prune overhead branches when possible in order to give your garden the sunlight necessary for growth. 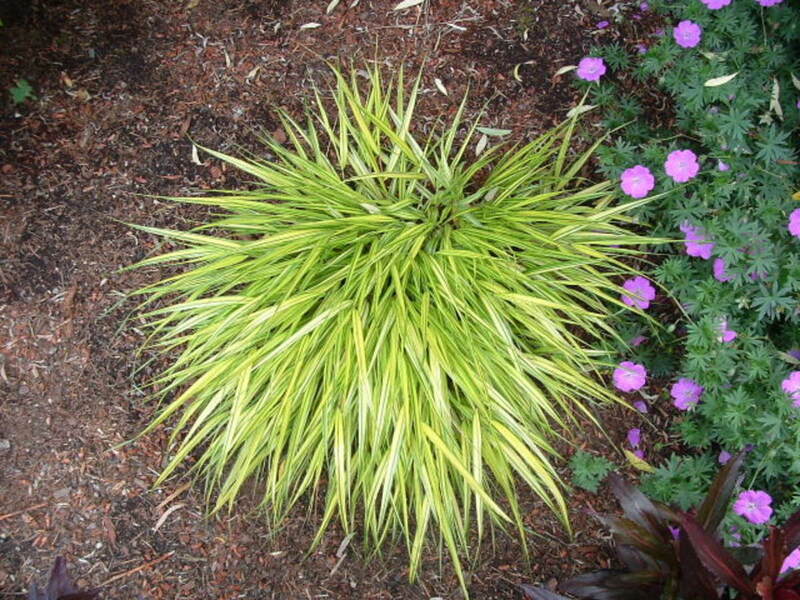 While shade plants do require some sun, many of them don't do well in the hot, summer sun. It can be difficult to keep the right balance of light. Just remember to keep shade plants in the shade and sun-loving plants in the sun and you'll have a wonderful garden! 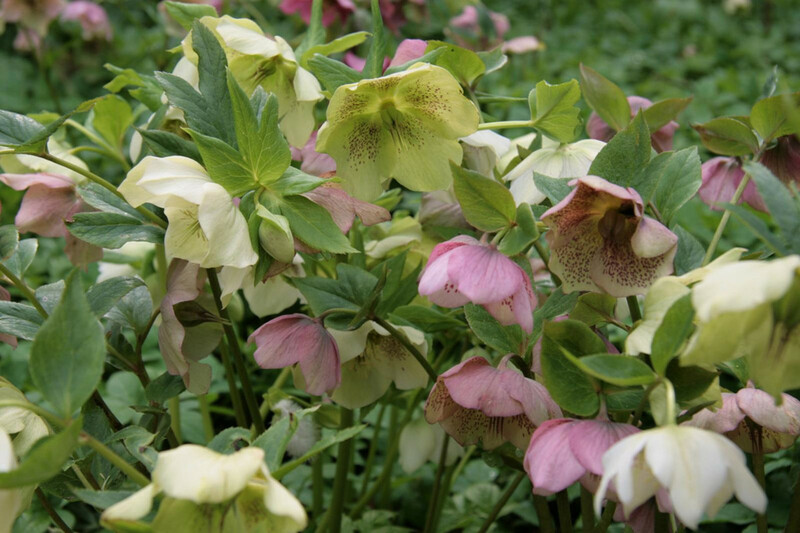 Hellebores are winter hardy shade perennials also known as Lenten Roses. 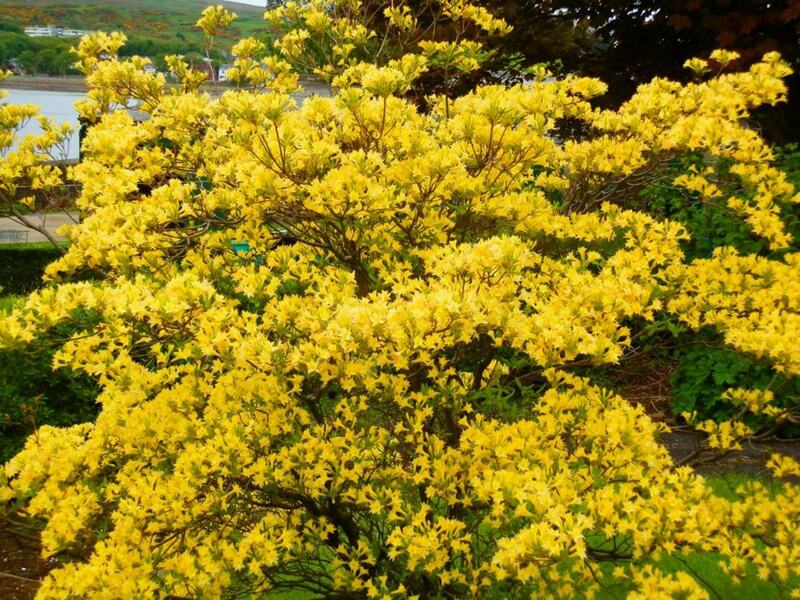 Since they bloom very early in the year and have a unique foliage, they offer a beautiful sight at a time when flowers are far and few between. However, hellebores stay green year-round offering ground cover throughout the year. Deer and other pests won't touch them! Native to Europe, hellebores are relatively unknown in the United States. Since they flower early, most gardeners don't get the opportunity to see their beautiful blooms at garden centers or nurseries. That said, they are available via mail order or through the internet. Hostas are hardy perennial plants that are fairly easy to grow. 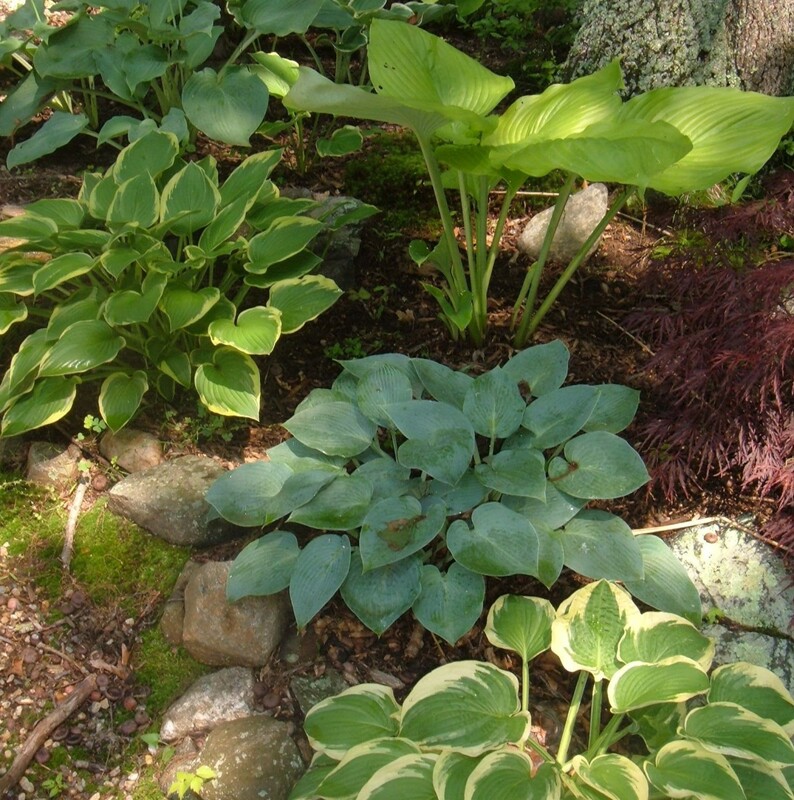 There are over 30 different types of hostas, which gives gardeners a wide variety of ground cover. These plants can get very large but can be easily divided. You can choose to replant what you divide or give them to a friend (they make great gifts!) Since there are so many different types of hostas, we divide ours and trade them with friends who have different hostas. 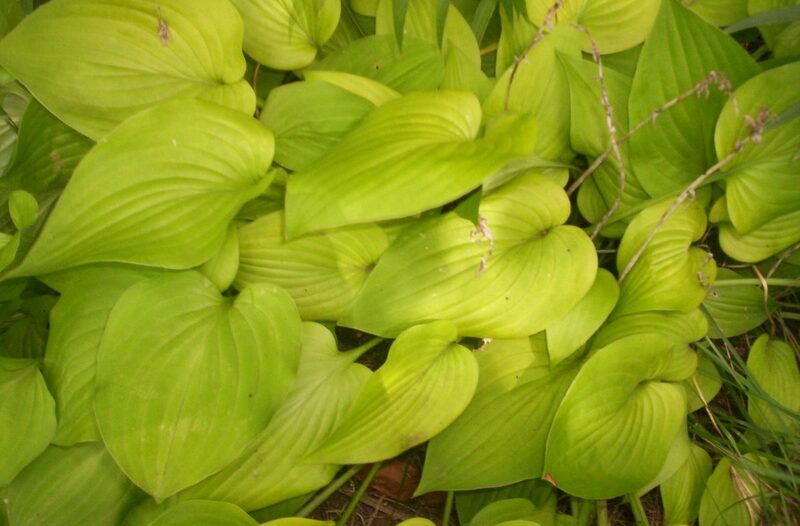 Hostas are flowering plants (they bloom in the summer/early fall), but they are usually grown for their leaves. 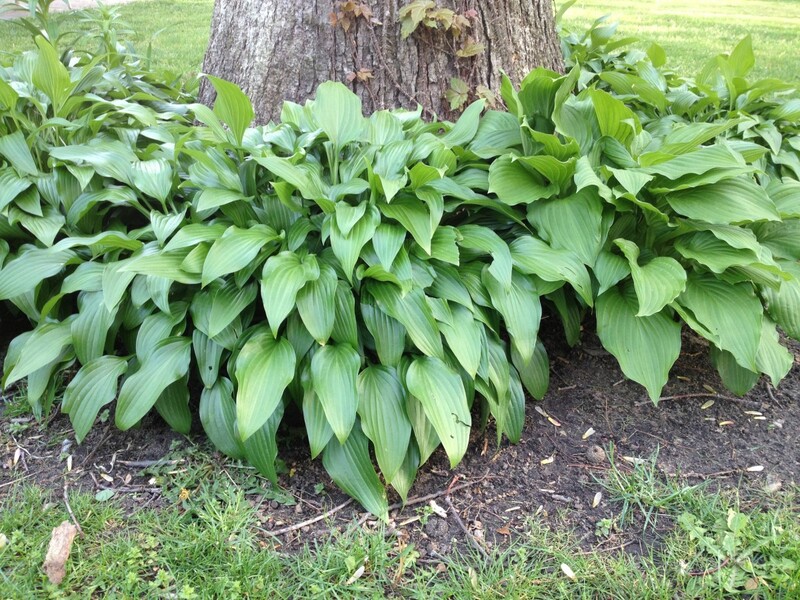 If you would like your hostas to grow more quickly, you can cut back the flower stalks. This conserves the plants’ energy, allowing them to grow larger. Bleeding heart, also known as dicentra, is another shade-friendly perennial. Unlike hostas, bleeding hearts are popular for their beautiful, delicate flowers. This plant mainly grows pink or white flowers, but it is possible to find dicentra in other colors. Dicentra grows best in partial to full shade and requires well-drained soil. 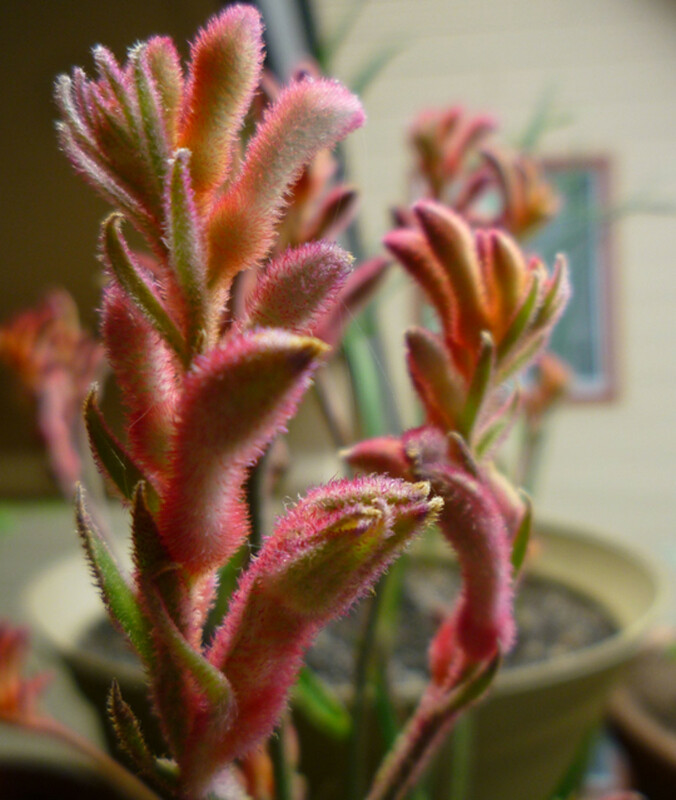 After this plant blooms, it has the tendency to die away. You can help prevent this by watering it regularly when it blooms. 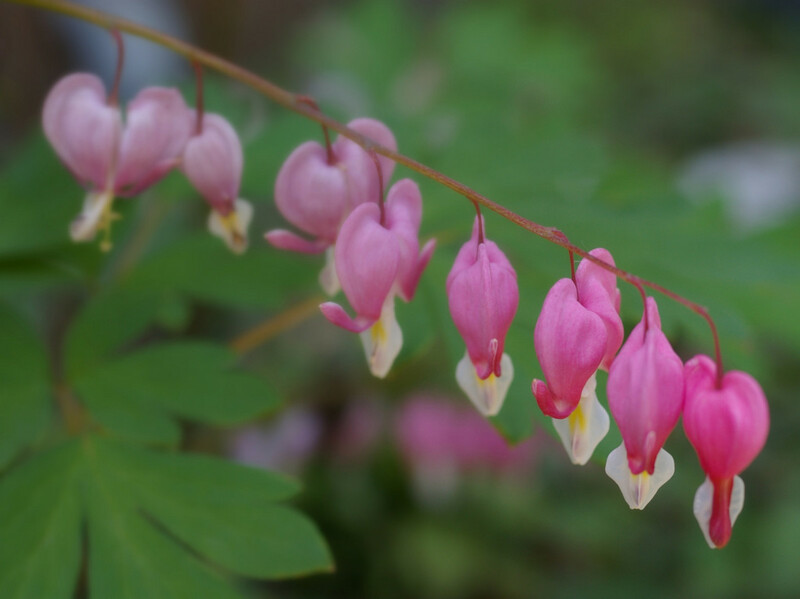 Many gardeners grow bleeding heart along with something with heavier ground cover (such as hostas or goutweed) to hide bare spots left when the bleeding heart plant dies away for the season. Ferns are unlike most garden plants in that they do not have seeds or flowers. In fact, they reproduce via spores! These ancient shade plants grow well in heavily shaded areas such as thick forests. 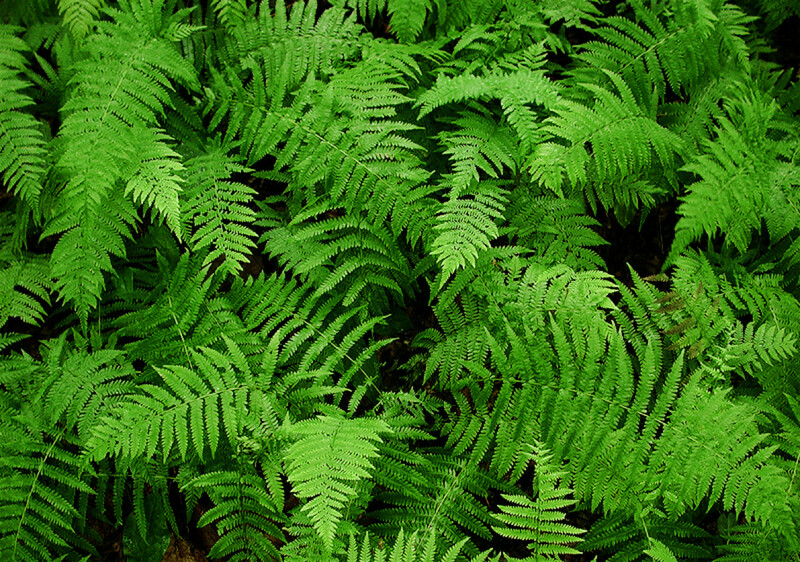 Ferns require constant moisture (in both the soil and air), they do especially well in humid areas. These plants do not do well in areas of heavy sun. Ferns are especially useful for providing ground cover making them perfect for growing in conjunction with vertically growing plants, particularly flowers. Astilbes are very easy to grow and especially known for their flowers. The tiny, beautiful flowers grow along tall stalks and come in a large number of colors. 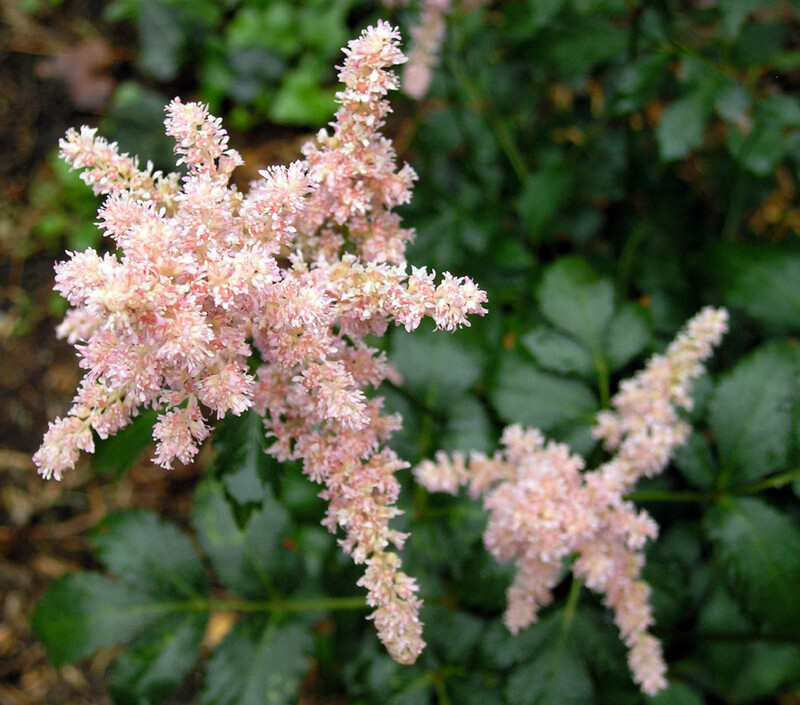 While an astilbe will bloom in the shade, they do like some sunlight, so it’s best to plant them in an area where they will receive partial sun. 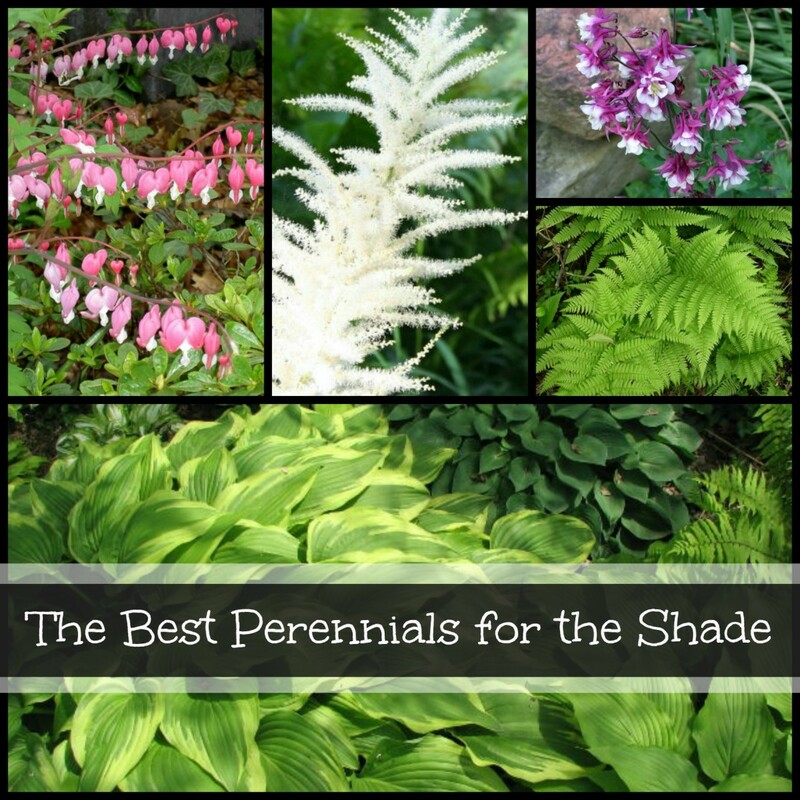 These shade plants require very little care, but it is still a good idea to divide these every few years. Doing so will not only keeps the plant healthy, but gives you more astilbes to plant elsewhere! 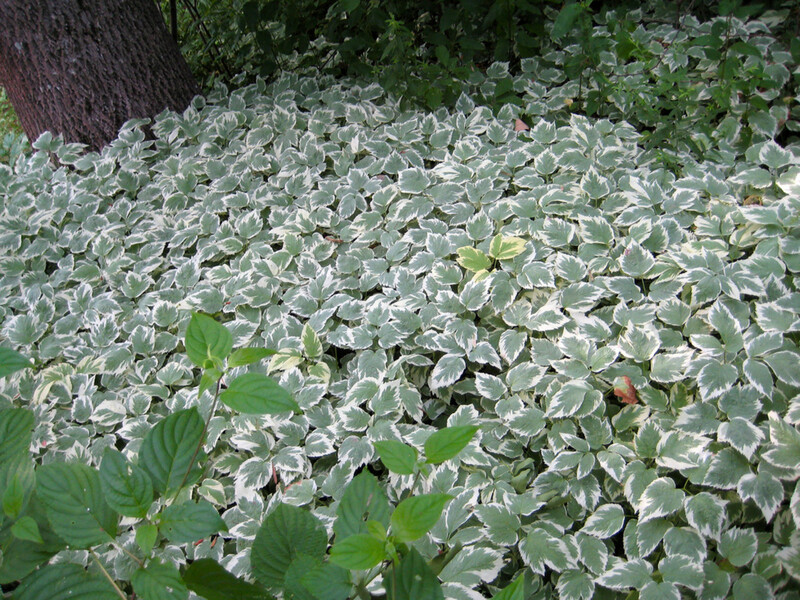 This plant is great for ground cover and requires little to no care. Goutweed is mostly known for its ornamental leaves but also sprouts groups of tiny white flowers in the Spring. While goutweed can be really pretty, you’ll have to be careful that it doesn’t take over your garden. It can be difficult to control and, while pretty is actually considered invasive in some areas. 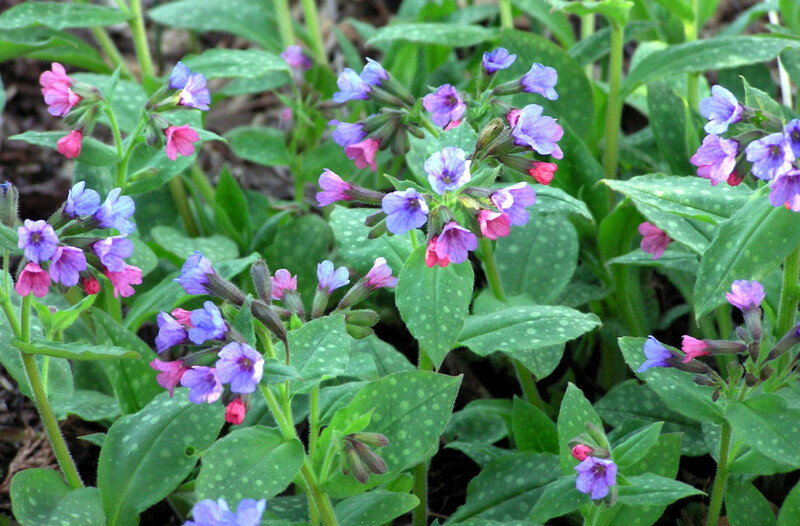 Lungwort (also known as Pulmonaria) is a beautiful plant that looks like it belongs in a fairy garden. 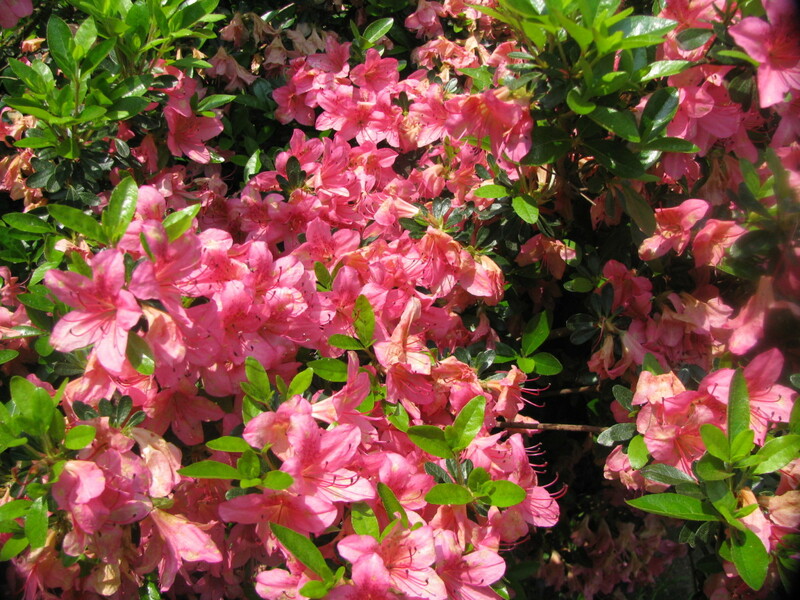 This is one that really screams, “Spring is here!” In fact, it blooms early in Spring and is cold tolerant with the plant providing groundcover (and foliage) even through the Winter. It has long leaves, which may be green with silver dots or completely silver. The main draw, for me at least, is the delicate and tiny flowers which can be white, pink, or and purply-blue. As you can see in the image, unlike many other flowering plants, lungwort can show off its range of colors on one plant. Japanese forest grass (also known as hakonechloa) is a thick grass that prefers partial shade. This grass makes a great filler with its beautiful slender, light green leaves. Japanese forest grass retains its light green color through the spring and summer. Depending on the variety, it can turn red, orange, or purple in the fall which can make it an amazing “accent” plant for larger gardens. 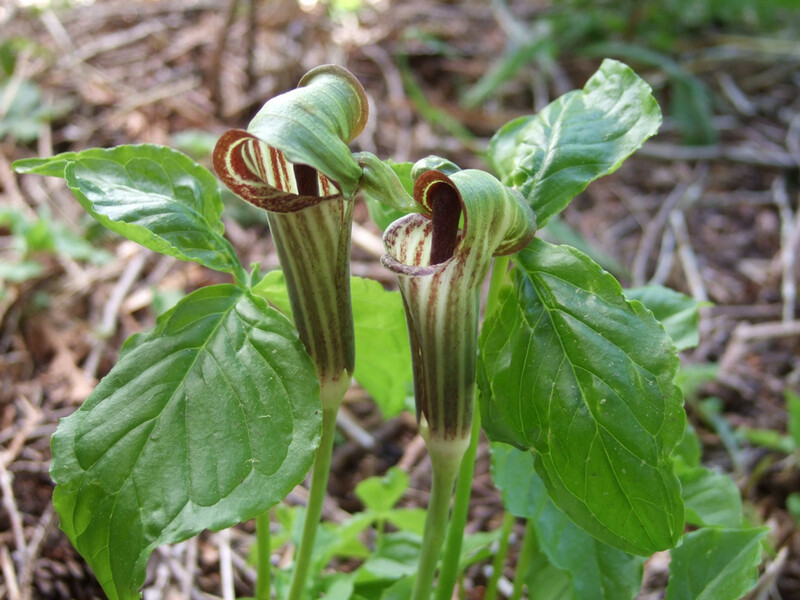 The Jack-in-the-pulpit (Arisaema triphyllum) is a beautiful stalk-like plant inside a hooded cup. The flowers on a jack-in-the-pulpit are tiny yellow dots that line the cup. In late summer, the cup falls off giving way to red berries. Jack-in-the-pulpit grow wild in wooded areas which makes them an awesome addition to a shade garden. These plants are easy to care for (they don’t attract many pests) and they’re indigenous to the lower 48. Given the name “daylily”, one would think these flowers only thrive in the sunlight. While daylilies do very well in full sun, they also happen to be one of the most popular shade plants. Daylilies will tolerate light shade and bring a burst of color to shade gardens. Daylilies owe their popularity to the fact that their flowers stay open for a significant amount of time compared to other flowering plants. 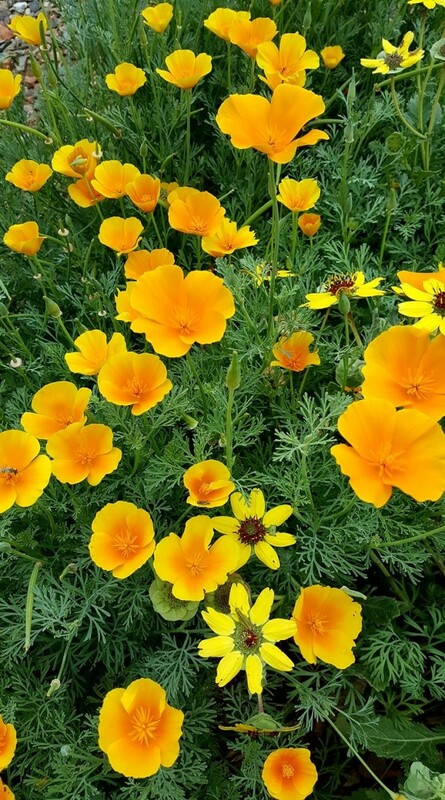 They are easy to establish, grow well with little care, and the plant survives throughout winter making it a great choice for many planting zones. 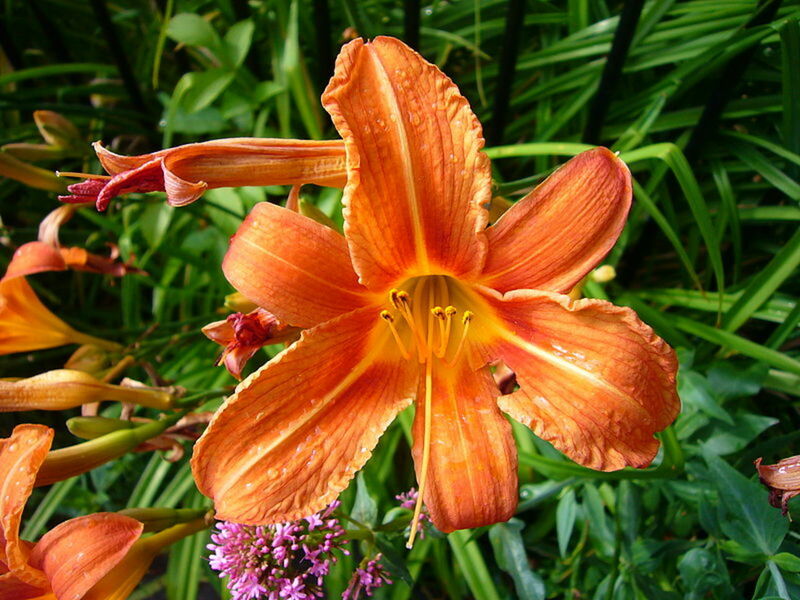 This said, daylilies should be purchased locally as each variety performs best in or around its native zones. What plant hardiness zone is Ohio in? Ohio is in zone 6. Good suggestions. It is always hard to know what to plant in the shade. With this informative and interesting hub, my problem with one curve by the home wall on my front lawn is solved. I get all kinds of perennials all over my front side, but not in that corner. A little sunshine reaches there very early in the morning and then in the early evening, but that is it. I think hostas with their flowers could be great for that corner. I spend ages trying to work out which plant might be best for which area of my garden, so this was a very useful hub, thanks! I have a lot of trees in both my front and backyard, so I have been trying to solve this problem for a while. Great work on this Hub. These will be very useful tips. I have Hostas and they come back every year looking more beautiful:). I love all thes plants - you chose really good pix too:). Bleeding hearts ade beautiful. I have killed a few ferns so ill do them a favor and leave them alone:) Excellent as usual! A good hub on shade plants! I live in Oregon, and have a nice back yard to work in. I already have Hostas, ferns and Bleeding Heart. I was considering another ground cover, and my eye landed on the Gout Weed. I'm glad you mentioned that it's invasive. Am already battling bluebells that were planted here by someone else years ago. They're little breeding monsters! Very good selection of plants. 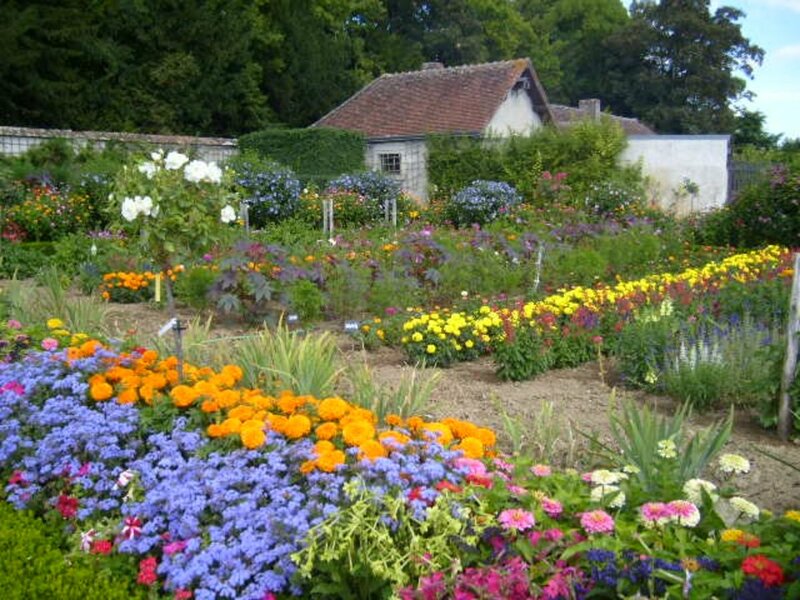 I will be sharing this with friends who are looking for something for their shady gardens.